You have to see the new Silver 8 up close to appreciate just how much care has been invested in its design. The front baffle for example shows no screws, the edges are elegantly rounded and the black and silver theme is a thing of beauty. Compared to its predecessor, the Silver RX 8 (itself no slouch), this new Silver 8 is shallower and taller while at the same time easier to drive and position within the room. What’s not to like? 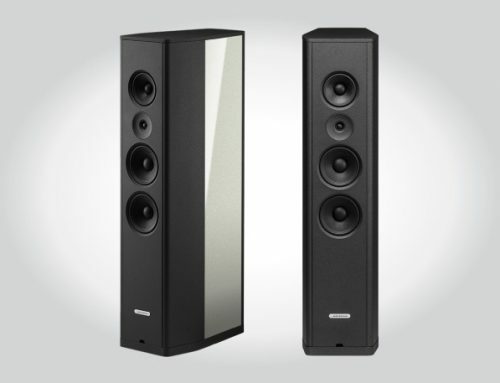 It is one of a full range of Silver speakers which includes 2 bookshelf speakers and 3 floorstanders and various models designed to complete a home theatre system. The Silver 8 can be yours for $2,299. This speaker should not sell on its looks alone – there’s a whole bunch of interesting technology at play here. It’s always good to know that a component sounds good, and that’s enough for most people. But I also like to know why something sounds the way it does – what were the designers trying to achieve, and did they succeed. If you’ve got the time, I’d like to take you through some of these finer points. Let’s start with the four (count ’em) drivers. Up top is a new Ceramic Coated Aluminum Magnesium (C-CAM) gold dome tweeter with a damped rear chamber and dome venting designed to increase bandwidth and lower distortion. The dome is actually formed from a C-CAM alloy, gold anodized to optimize stiffness and damping. It sits behind a protective black screen, always a good idea when a delicate dome is involved. The 4” C-CAM midrange is built around an underhung voice coil and motor system so that the voice coil remains in the magnetic gap for better control. Beneath this sit twin 6.5” long throw C-CAM bass drivers with a dished profile that mirrors that of the midrange driver. Monitor Audio calls this design RST which stands for Rigid Surface Technology. The lightweight alloy cones in the bass and midrange drivers are made more rigid by the inclusion of a pattern of dimples which allow the surface to resist bending which can lead to distortion. This technique allows the use of thinner cone material. Thinner means lighter and lighter means more responsive to fast signals. The dimples also help to displace standing waves. Did I mention how cool this looks? You may be wondering how Monitor Audio manages to attach the main drivers without the use of screws? No there’s no glue involved. These drivers must be very firmly connected to the chassis to prevent any movement between them. In fact there are bolts that run the full depth of the speakers to connect the drivers directly to the rear wall of the box. You can only see the connection if you’re sitting behind the speaker or inside it! 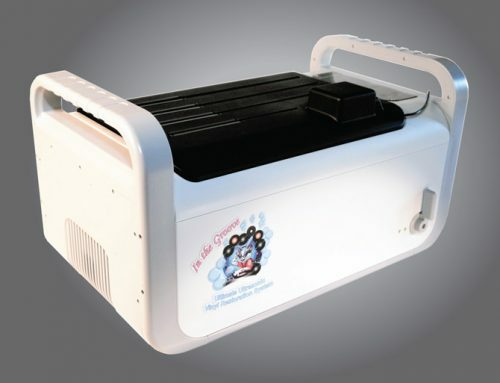 There are two single rear ports which include rifling (HiVe II) to increase airflow and reduce turbulence. Monitor Audio provides foam inserts for the ports to adjust bass response but I was happy without them. I am happy to see that the grills are magnetically attached, but I think you should keep them in the box – there’s nothing here that needs hiding or protecting. The speaker sits on a black plinth with four adjustable spikes. My test pair sported a luxurious high gloss black lacquer finish, but you may prefer high gloss white lacquer or one of the four wood veneers available. Height is a metre, width just 18.5 cm and depth is 30 cm. 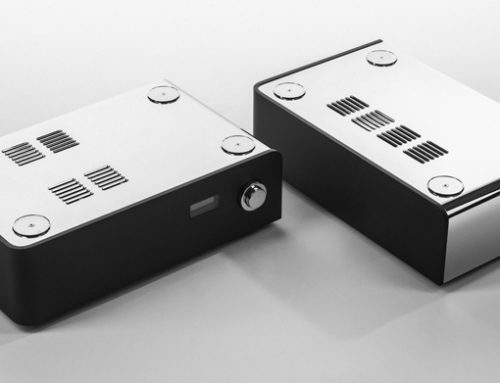 Efficiency is quite high (90 dB) and the Silver 8 presents a 4 Ohm load, which will suit most but not all amplifiers. Monitor Audio suggests amps ranging from 80 to 200 wpc, but I suspect low powered tube amps will also have no issues driving the Silver 8 from their 4 Ohm taps. I bi-wired the speakers to the amp using Nordost Valhalla cabling, but if you only have single wire (like most people) you can use the jumpers provided. 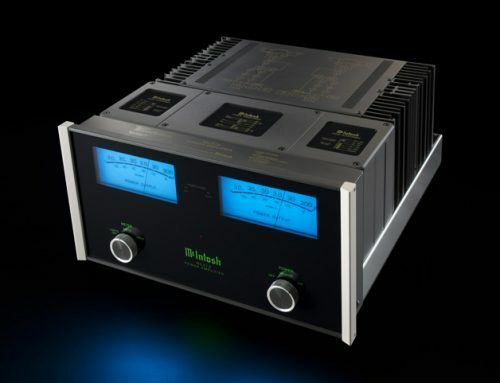 Partnering equipment included a Meridian G08 CD Player, EMM Labs Pre 2 preamplifier and a ModWright KWA 150 SE power amp, which can deliver 200 watts per channel into 4 ohms. After warming up the system I was immediately immersed into a warm spacious soundfield with no trace of harshness, one that drew me into the music and made me happy to listen for long periods. I was not expecting this much involvement from such a modestly priced floorstander. I was testing it alongside a number of higher priced models, and it never embarrassed itself in their company. I suspect the gold domed tweeter is responsible for a good part of my satisfaction. It has a wide dispersion so you are not limited to a narrow sweet spot, and it offers excellent extension and strong levels of detail without sounding etched. The deep bass flowed effortlessly on Diana Krall’s “Boulevard of Broken Dreams” which also highlighted the open nature of the treble through the attack and sparkle of Krall’s piano riffs. If you like African music you may be familiar with Ali Farka Toure’s “Bonde”. Here the soundstage is wide, with instruments well located within it. It’s a big sound, hypnotic, detailed and fast paced. I really enjoyed the sharp transient attack from the Calabash. 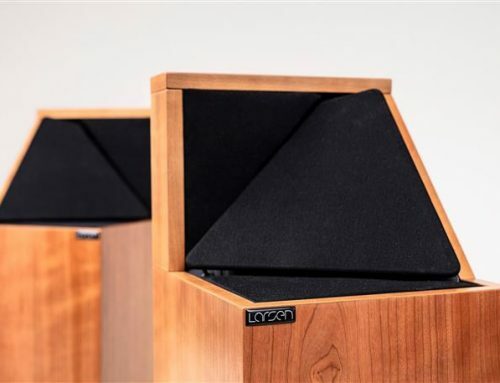 Now when I switched to my reference YG Carmel speakers ($18,000), I could hear considerably more detail, dynamics were much stronger and the image took on more depth, while it was easier to hear each individual instrument. But you sure pay a lot for that level of realism. Jazz presented no challenge to the Silver 8 speakers. Art Pepper’s classic track “You’d be so Good to Come Home to” sounds very clear, extended at both frequency extremes, while the percussion comes through clean and fast. Pepper’s sax is well focused, effortless and dynamic. Red Garland’s piano is a little on the light side but shows great control. I felt the instruments were a bit crowded around the speakers. The Carmel speakers added a touch of weight to the piano and spread the instruments out further from the speakers. Turning now to a massive symphonic work, the Silver 8 produces a very punchy rich orchestral sound and conveys good weight in Shostakovich’s Tenth on the Naxos label. Its reflexes are fast, its performance effortless as always, and it is easy to follow the complex structure. On the other hand, dynamic range was greater with the other speakers I tried, as were image depth and ultimate resolution. In a smaller scale classical work, Mozart’s Divertimento in E Flat, I enjoyed the rich string tone and instrumental colour, the strong imaging, the wide bandwidth and the excellent overall balance, which allowed me to follow each line simultaneously. Paul Simon’s “Dazzling Blue”, a return to his old form, reveals lots of instrumental color and good detail, but could be more focused in the low bass. I also heard slight sibilance on Simon’s voice, also apparent through the ELAC BS244 speakers but noticeably absent on the upscale Kudos Super 20 speakers and the reference Carmel. Eric Clapton’s lament “Tears in Heaven” benefits from the strong bass and good attack of the Silver 8, and reveals a gentle, natural vocal line. So there you have it – a very successful package fully competitive with others at its price point and even 25 percent above. It has refinement, wide bandwidth, warmth, speed and tone colour all in its favour, and it seems to take everything easily in its stride. It must take second place to some more expensive speakers when it comes to fully scalable dynamics, low level retrieval, image depth and ultimate realism. But the sins it has are of omission, not commission, and that’s a good thing. In other words, while we are not hearing everything there is to be heard (we never do except in a live performance), what we hear is accurate, not harming the sound to any appreciable degree. If you need a closer approximation the the real thing, you might look at Monitor Audio’s upscale Platinum Series, which has impressed me a great deal over the years. If you are looking today for a floor standing speaker for under $3,000, put this right at the top of your audition list. You won’t be sorry. How many companies offer 14 different speaker lines?